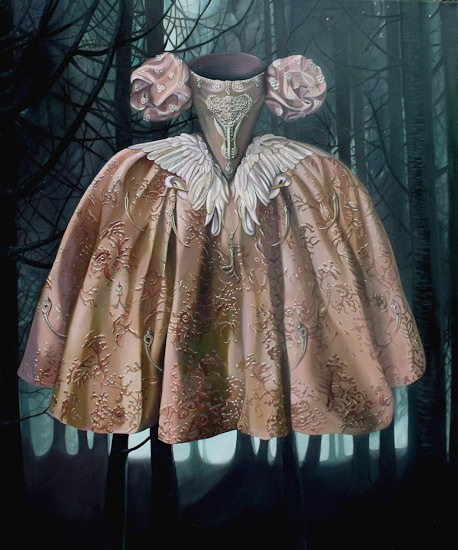 A Victorian gothic sensibility creates rich fictional narratives infusing Maryrose Crook's new paintings with an otherworldliness drawn from both real and dream worlds. 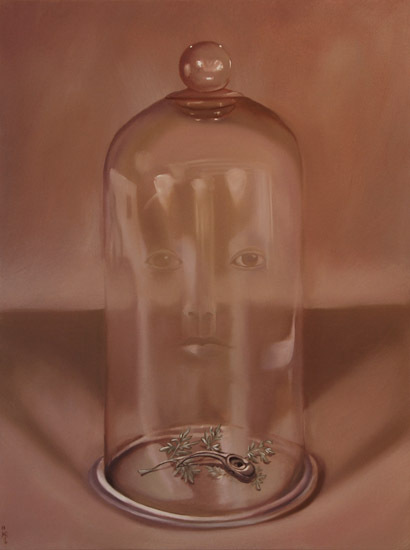 There is a sense for the viewer of looking in on private scenes - worlds not normally visible. 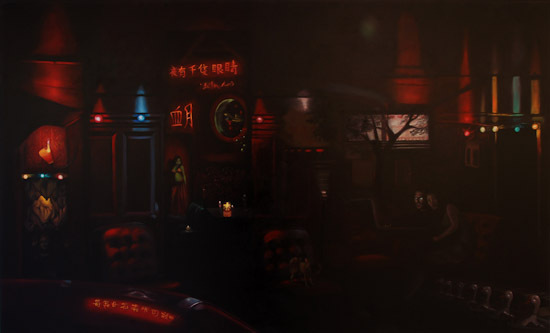 Moths flutter against a window, a woman holds a wrecker's ball above Christchurch's Basilica and a strangely lit night street scape suggests the distorted reality of a Chinese opium den. 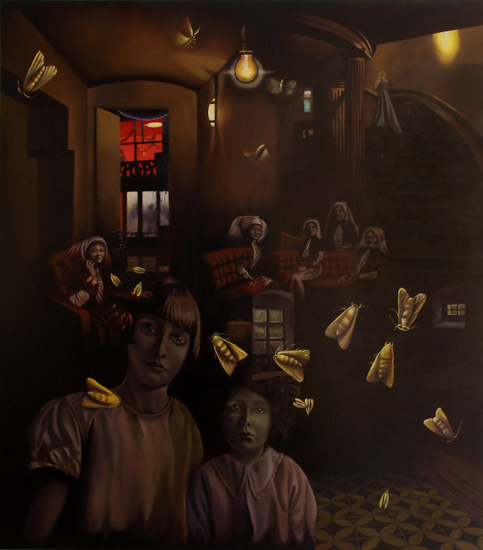 Crook's distinctive surreal and metaphorical dreamscapes have established a strong following for their rich content, luscious surfaces and high degree of technical proficiency. 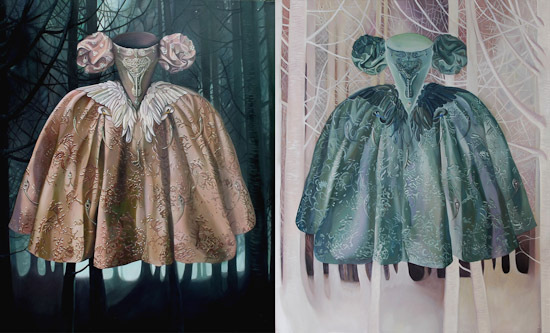 Described as New Zealand's Frida Kahlo, she creates surprising and highly original juxtapositions of nature and culture. 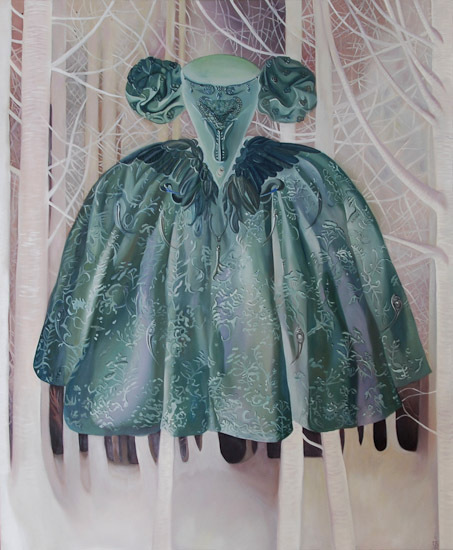 Her paintings can be seen as fantastical landscapes, a distinctive genre in New Zealand painting. 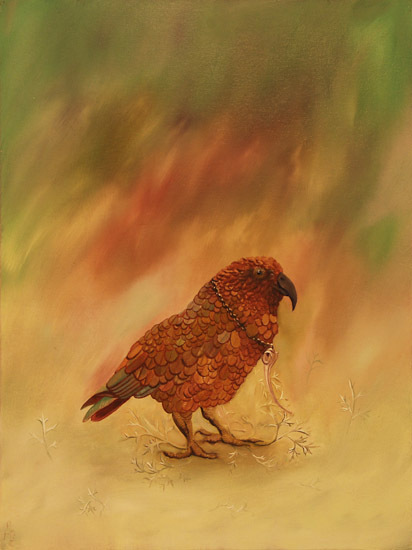 Crook started painting seriously in the mid 1990s and quickly attracted attention - within a year of showing her first paintings in a Dunedin cafe, she had an exhibition at the Dunedin Public Art Gallery. 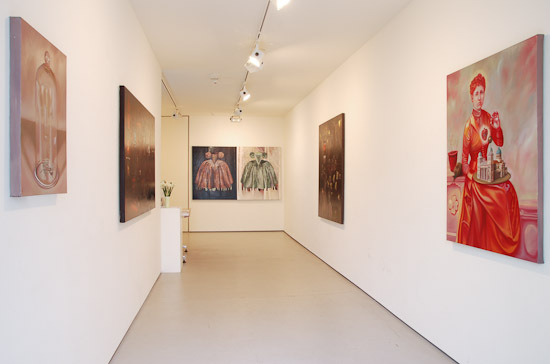 Since then she has exhibited widely and won a range of residencies and awards including the 2003 William Hodges Fellowship, the 2005 Waikato Art Award merit award, and the 2006 Wallace Development Award. The latter award gave her significant international opportunities in China, with the Red Gate Artist Residency, and in Berlin. 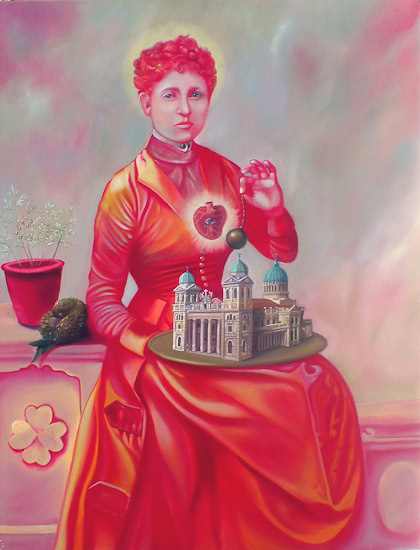 Christchurch based she has continued to paint during the disruptions of the past ten months and the influence of this period as well as her travels can be seen to play out in her painting.